Valentine’s Day is a special day set aside to honor “love”, a time to celebrate “romantic love”. So as the 14th of February approaches, we plan to find that right card, order those flowers, choose an item of jewelry, or make reservations for that special candlelit dinner in one of Vallarta’s most romantic spots. 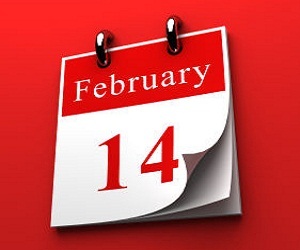 Yet few stop and ponder why this date is singled out, or just who this Valentine fellow was, and why he should have a day named after him. Saint Valentine… Who Was He? 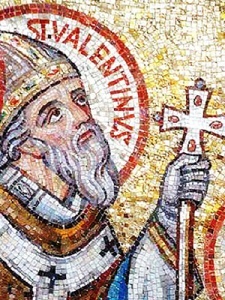 Valentine was a holy priest in Rome who assisted the martyrs in the persecution under Claudius II. He was apprehended, and sent by the emperor to the prefect of Rome who, on finding all his promises to make him renounce his faith ineffectual, had him beaten with clubs, and then beheaded – on February 14, about the year 270. The greatest part of Valentine’s relics are now in the church of St. Praxedes. His name is celebrated as that of an illustrious martyr. To abolish the heathens’ lewd superstitious custom of boys drawing the names of girls, in honor of their goddess Februata Juno, on the 15th of this month, several zealous pastors substituted the names of saints in billets given on this day. 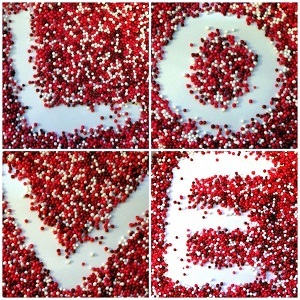 The most famous of Valentine symbols has always played a role in the celebrations of love and lovers. He is known as a mischievous, winged child, whose arrows pierce the hearts of his victims, causing them to fall deeply in love. In ancient Greece, he was known as Eros, son of Aphrodite, the goddess of love and beauty. To the Romans, he was Cupid, son of Venus and Mercury. Throughout ancient mythology, there appear to be either two Cupids or two sides to the figure of Cupid. One is a lively youth who delights in pranks and spreading love. The other is known for riotous debauchery. Cupid’s cult was closely associated with that of Venus, and his power was supposed to be even greater than his mother’s, since he had dominion over the dead in Hades, the creatures of the sea and the gods in Olympus. One legend tells the story of Cupid and the mortal maiden, Psyche. Venus was jealous of Psyche’s beauty, and ordered Cupid to punish her. But instead, Cupid fell deeply in love with her. He took her as his wife, but as a mortal she was forbidden to look at him. Psyche was happy until her sisters convinced her to look at Cupid; he punished her by departing. Their castle and gardens vanished with him and Psyche found herself alone. As she wandered to find her love, she came upon the temple of Venus. Wishing to destroy her, the goddess of love gave Psyche a series of tasks, each harder and more dangerous than the last. For her last task, Psyche was given a little box and told to take it to the underworld – without opening it. She was told to get some of the beauty of Proserpine, the wife of Pluto, and put it in the box. Psyche opened the box, but instead of beauty, she found deadly slumber. Cupid found her lifeless on the ground. He gathered the sleep from her body and put it back in the box. Cupid forgave her, as did Venus. The gods, moved by Psyche’s love for Cupid, made her a goddess.